Martha: I’m sure. Upstate somewhere I think. Lucy: Find out where you are and I’ll come get you. Martha: I can’t wait that long. 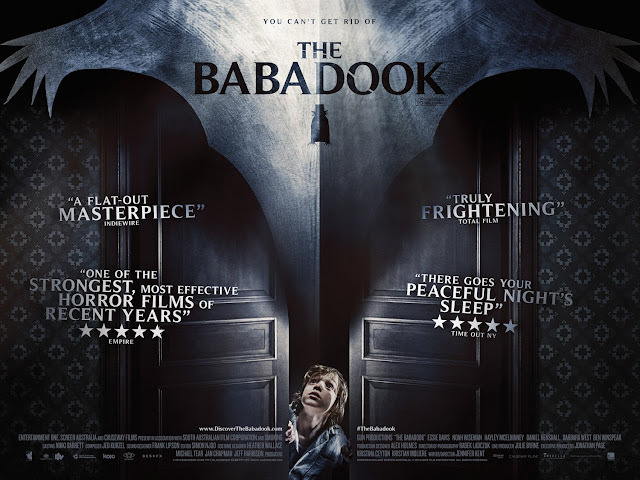 It is not rare to see a new independently made thriller every so often, but it certainly is satisfying to see one that is well acted, rich with intrigue, and full of disturbingly quiet tension. 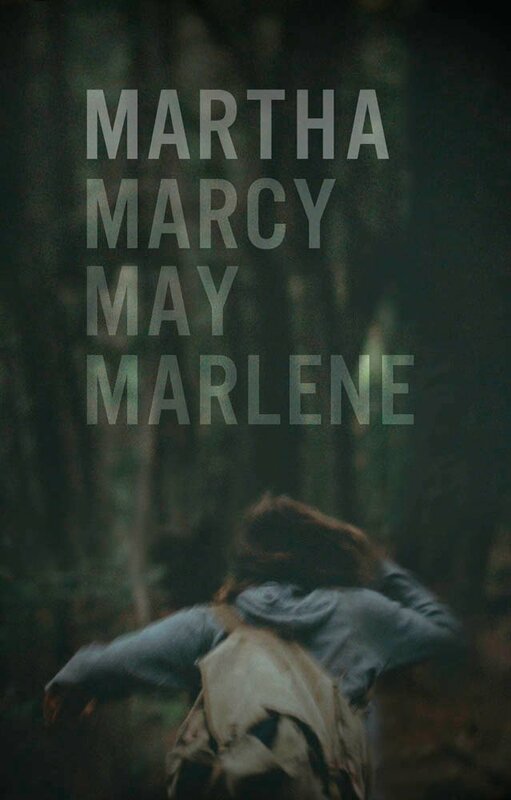 The tongue twistery-titled film Martha Marcy May Marlene is one that unfolds skillfully, telling a story set within two timelines that involves a young girl’s plight while under the control of a cult and her struggle to assimilate back into normal life after escaping it. 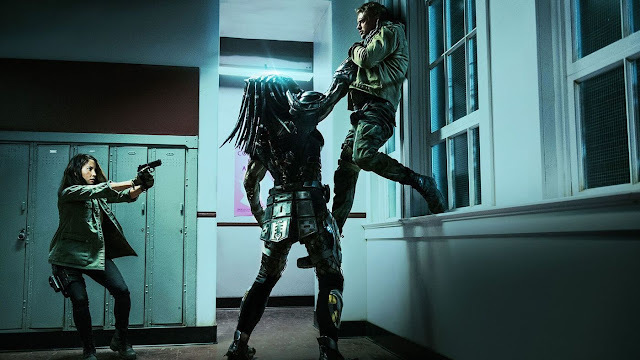 The overall narrative does not supply any more information than it has to and plays out like a slow burn, but there is a strong level tension that boils under the surface and a number of uncomfortable scenes that work very well with the story that is presented. Along with the breakout work from the lead actress, the rest of the effort to put together Martha Marcy May Marlene was strong enough to have the film creep its way into being one of my favorites of the year. Elizabeth Olsen stars as Martha, a young woman who became a follower/victim of a cult up in the Catskill Mountains. 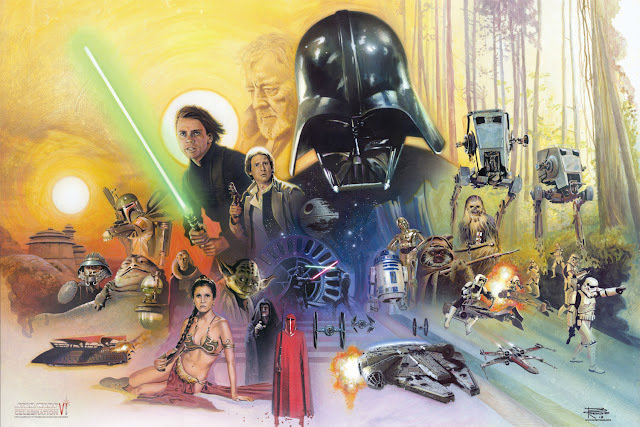 The film is presented in two timelines running together. It begins with Martha’s escape, as she flees through the woods, finds a local diner, and calls her older sister, Lucy (Sarah Paulson) for help. From there, we watch Martha attempt to adjust back into normal life, as she spends time living with Lucy and Lucy’s new husband, Ted (Hugh Dancy), in their countryside house. Martha doesn’t go into detail at all about what’s she’s been through, but Lucy and Ted certainly sense a lot of trouble in her. As the film travels back in time to recall Martha’s experience within the cult, we see that things were quite intense for her. Although the initial sights may seem to portray a family-sharing-like atmosphere, due in most part to the cult’s charismatic leader, Patrick (John Hawks), the situation reveals itself to be much worse and very abusive. There is a helplessness and an added sense of paranoia that deeply affects Martha and possibly her world view, even after she manages to escape. 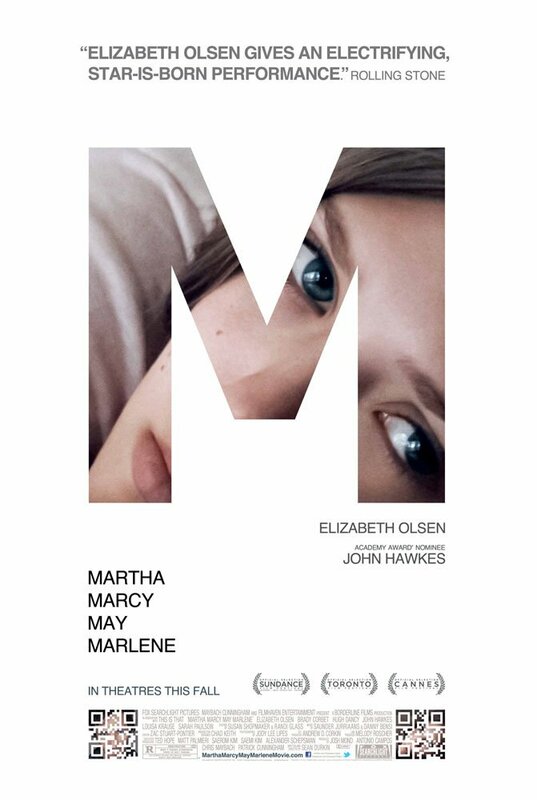 This movie is no thrill ride from a high momentum standpoint, but I was incredibly tense throughout, given the disorientation that this film provides, by basing it largely from Martha’s perspective. 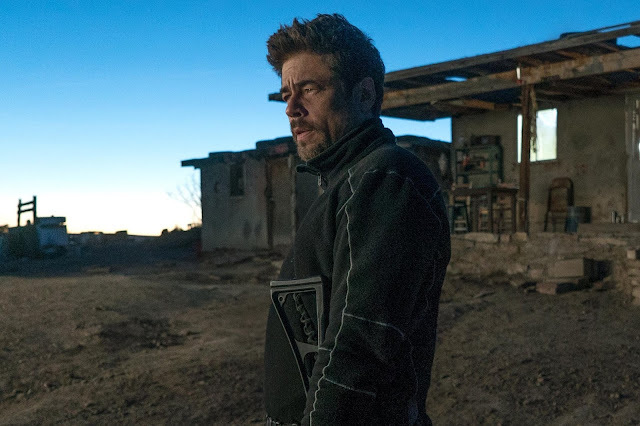 It is a very quiet thriller that manages to become unnerving by the careful uses of stylistic elements such as slow tracking shots, darkness, and dream-like transitions. The level of craftsmanship seen in this movie does a great job at turning something very minimal into something very quietly intense. The measured performances only go well to serve things further. Elizabeth Olsen, the youngest and apparently most talented of the Olsen siblings, does fantastic work here. She embodies the persona of a truly messed up girl, both before and after her experience with this abusive cult. Given the little we learn of her relationships with others, prior to entering the cult, it seems almost appropriate that she would find solace in the woods with these people. On the other hand, as we learn what Martha has gone through during these experiences, it is perfectly appropriate for her to escape the brainwashing as well as react the way she does once back in reality. And with this material and complexity assigned to the character, Olsen truly excels. Never overplaying anything, but portraying a clearly troubled individual. The supporting performances are also solid. 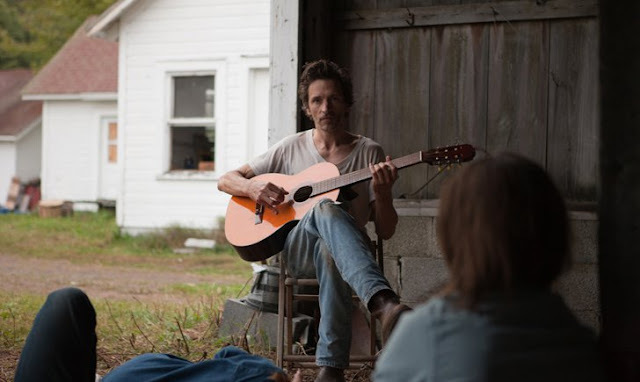 I expected this from John Hawkes, who is only just now becoming a character actor recognized more so for the talent he has been bringing to films for years. I was also very pleased with the work done by Paulson and Dancy, as characters understandably troubled by Martha’s confused and confounding reactions to this unfamiliar life she is now a part of. Both adult actors are patient and reserved, both as characters and in their performances. I very much admired writer/director Sean Durkin’s choices to reveal only so much plotting, letting the audience piece together all that they need to with concern to the plot and its smaller details, such as what this cult worships, what the various responsibilities of its members are, etc. Instead, Durkin chooses to let us follow Martha’s perspective on these matters. There is also the added complexity that Durkin brings to the film through his clever use of cinematography to suggest that the images we see of the cult could either be flashbacks or dreams in many cases (some of the present day scenes for that matter as well). When the film reaches its conclusion (which I can see some being annoyed with, but I was again very tense), it is a credit to the filmmaking that I was able to admire its openness and how it works as a solid conversation starter. Quietly chilling is a perfectly suitable way for me to describe this film. There are instances that can easily get under your skin, given how uncomfortable some of the scenes shown in this film are. And this is accomplished without high levels of graphic brutality, but with many instances of silence and careful photography. ‘Martha’ is also bolstered by its very solid performances and unsettling atmosphere. I enjoyed this film a great deal, not in a fun sort of way, but due to how effective I found it to be. Now if you’ll excuse me, I’ve been handed a pamphlet asking me to join in on togetherness. Martha: Do you ever have that feeling where you can’t tell if something’s a memory or if something’s a dream? I find it odd that many critics use the word charismatic to describe Patrick the cult leader in MMMM. Charismatic is derived from the word 'charm'. But he wasn’t charming at all. It’s one of the problems I had with the script because he was so incredibly creepy, I couldn’t understand why he had any followers at all. Nicely written review even though 4 ½ stars is a bit much. While given what we know about him certain doesn’t help matters and I believe there are individual that have a much clearer sense of charisma that surrounds them, I think it applies to Patrick as well, but in a more low-key sort of way. I think, without knowing too much about what the agenda of his “commune” is, there is something intriguing about his persona that could draw some in. He’s softspoken, plays nice little didy’s on his guitar, and has nice sense of authority about him that seems to paint his as a good leader. That’s at least what I got from the vibe he presented, before we saw more behind the curtain. 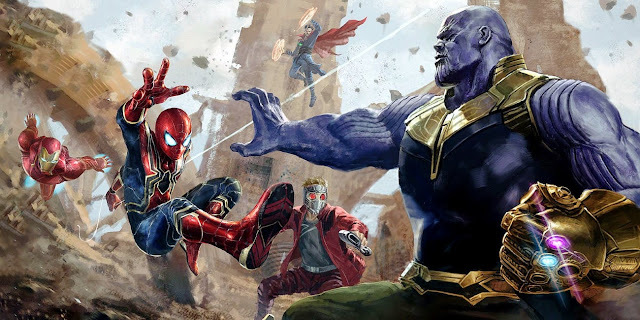 My rating comes, among other reasons, from the fact that I really did feel quite a bit of tension while watching the movie, and do to its effectiveness on me; I had a lot of appreciation for it. I also loved the ending. It didn’t hurt that the writer/director had a Q&A right after the screening I was at. I found it tense, but only mildly so. Have you ever seen Roman Polanski’s Repulsion? There's an example of a movie that captured that feeling perfectly for me. There’s an uneasiness after watching that film that will haunt you for days. Well now you're comparing Polanski with a first time writer/director. I responded to Martha the way I responded, regardless of other films that made me feel more or less of some kind of visceral emotion.